A dining table can easily become the social hub of your home and what better way to bring people together than around the Luka 6 Seater Matt White Dining Table. This sleek dining table incorporates midcentury design with contemporary detailing, combining a variety of mixed and tactile finishes in one coordinating piece. 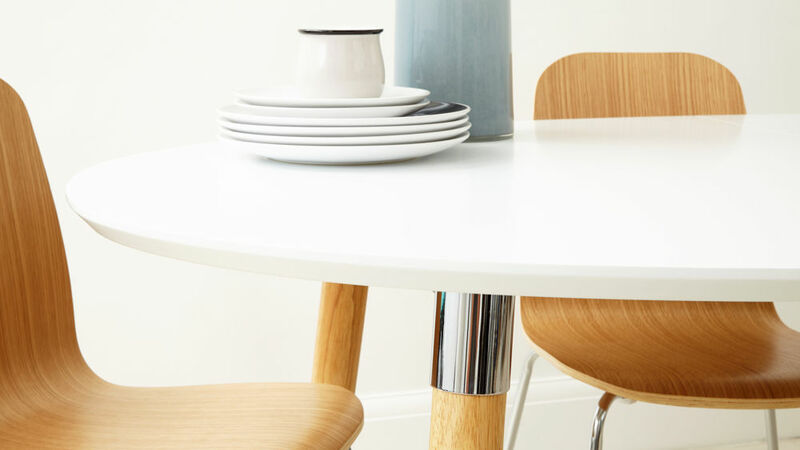 Designed to seat between four to six people, the Luka 6 Seater Matt White Dining Table will be a stylish addition to any modern family dining area. The Luka Dining Table measures 74cm in height, 100cm in width and 170cm in length, comfortably seating up to 6 people. This makes the Luka a very practical size for everyday family dining. The seamless blend of 3 mixed materials on the Luka dining table is what really makes this piece stand out from the crowd. It's this sleek combination of finishes that gives the Luka a designer edge, making this modern dining table really easy to style and blend with your existing interior. 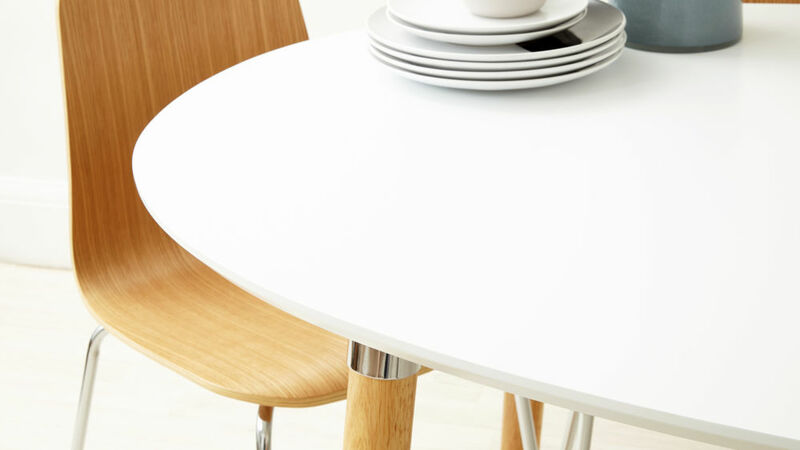 The surface of the Luka Dining Table has a matt white finish. This means it has a slight satin sheen rather than being highly reflective like gloss. 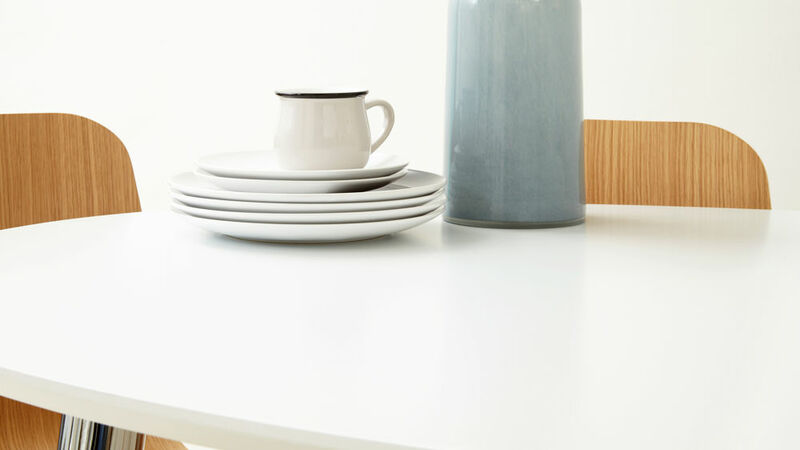 The matt table top keeps the Luka looking smooth and fresh, along with giving the surface a wonderfully tactile quality and real depth of finish. The oak legs of the Luka are set on an angle and tapered towards the feet, with contrasting chrome detailing around the top of each leg. 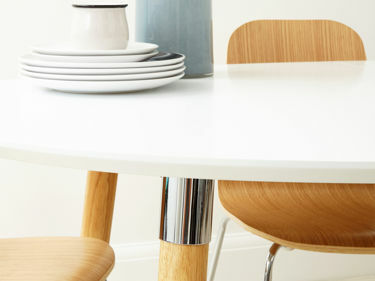 The angling of the table legs keeps the area underneath of the dining table looking open and spacious, providing enough space to comfortably tuck in your dining chairs. 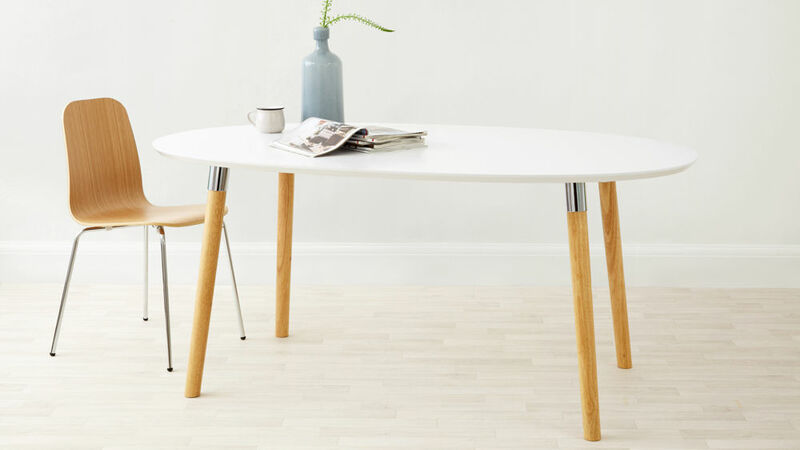 The chrome finish around the top of each of the legs adds a bright reflective shine, which is a wonderful contrast to the solid look of the oak. 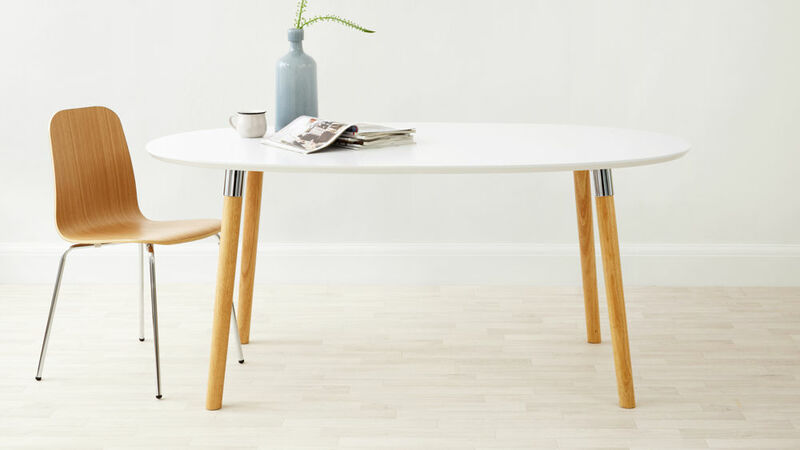 This adds a really crisp and modern touch to this midcentury inspired design of dining table. If you'd like the opportunity to seat a few more people, the Luka Dining Table is also available in an extending option. 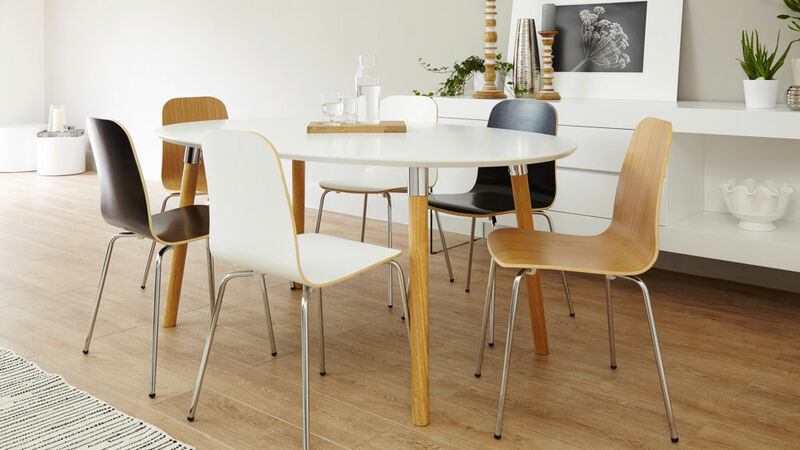 To complete the look, we also have a range of coordinating Luka Dining Chairs in either black, white or oak to really complete the stylish look of this tactile dining table.